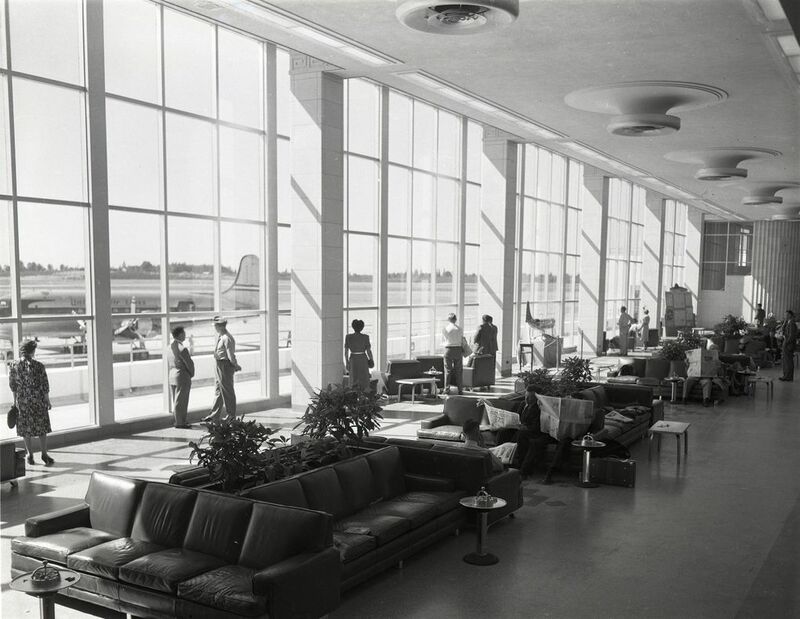 Photos: What did Sea-Tac Airport look like in 1949? 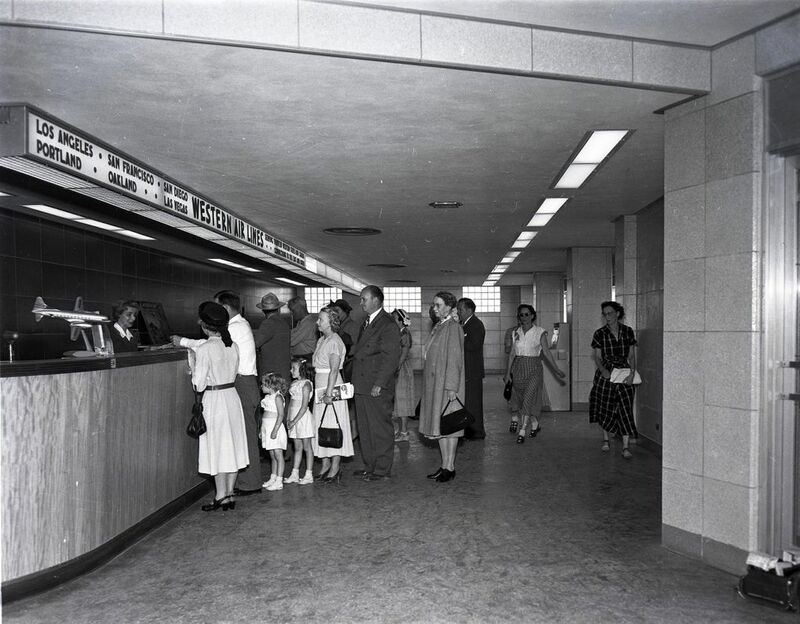 Think Stratocruisers and an old-timey diner. 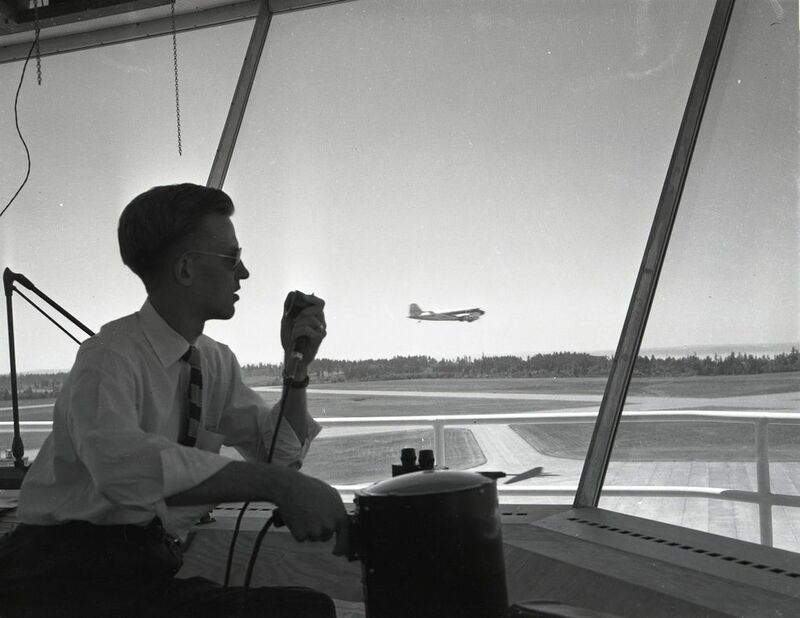 Rarely seen photos from the Seattle Times archives show the earliest days of the airport. 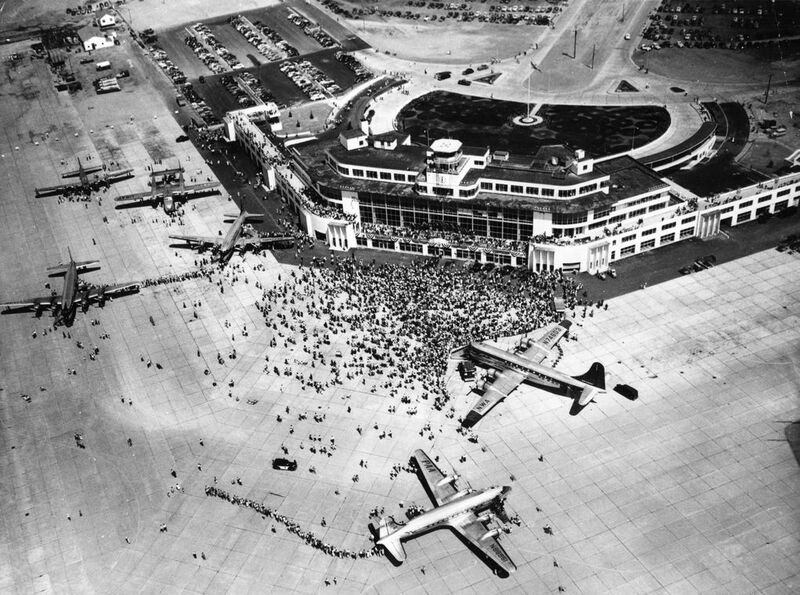 In 1942, Seattle’s Boeing Field and other airfields had been taken over by the Army to support the World War II effort. 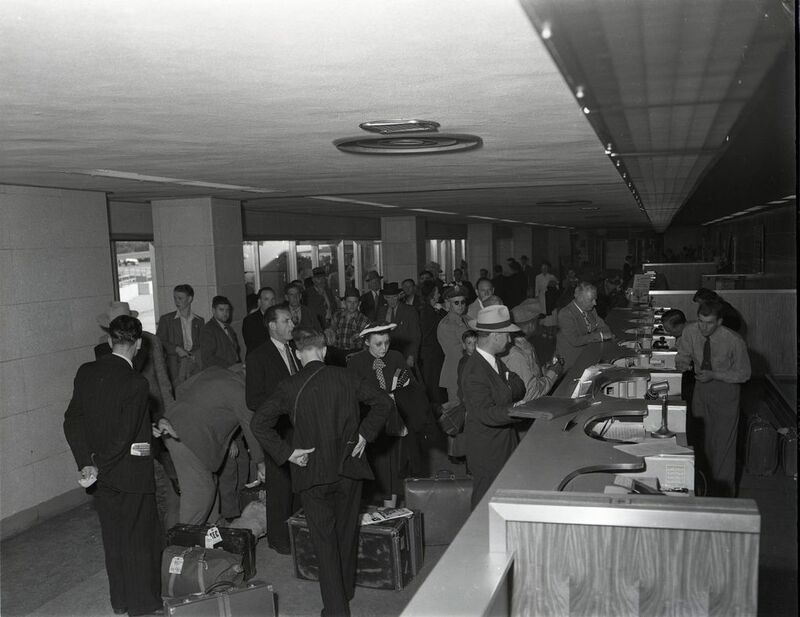 Commercial passenger flights were only being allowed temporarily. 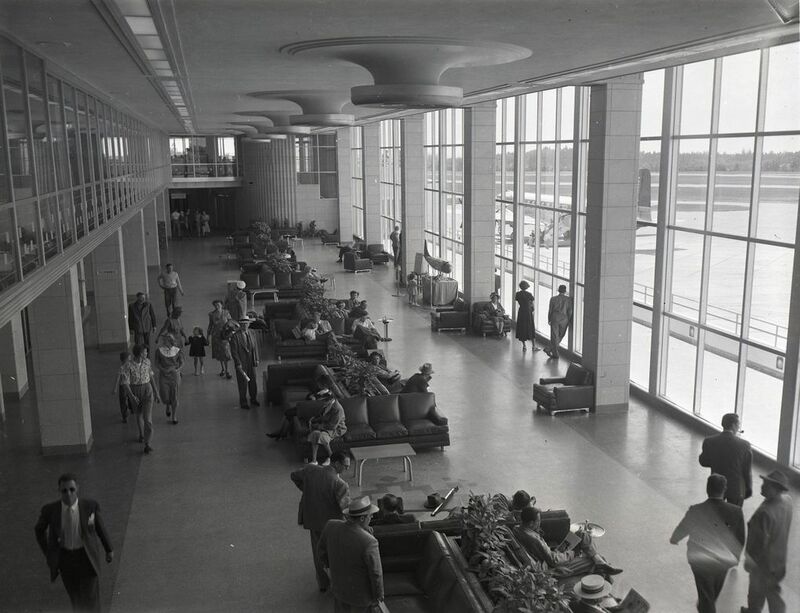 The region desperately needed a new airport. Proposed locations included a site near Lake Sammamish. But with backing from the Port of Seattle, the city and Port of Tacoma and Pierce County commissioners, a site near Bow Lake — about midway between Seattle and Tacoma — was chosen that March. 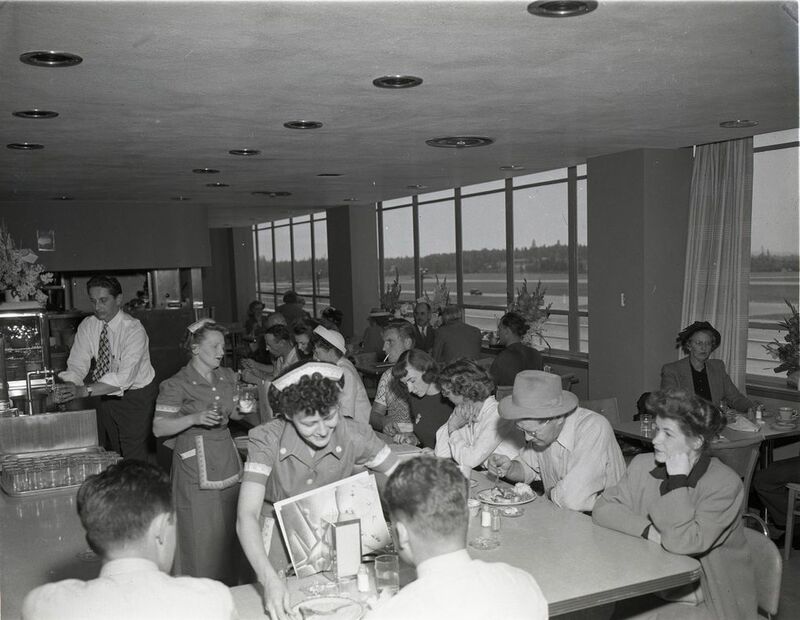 Regular commercial flights at Bow Lake Field started in 1946, and the terminal consisted of a Quonset hut and heated by a potbelly stove, according to Historylink. 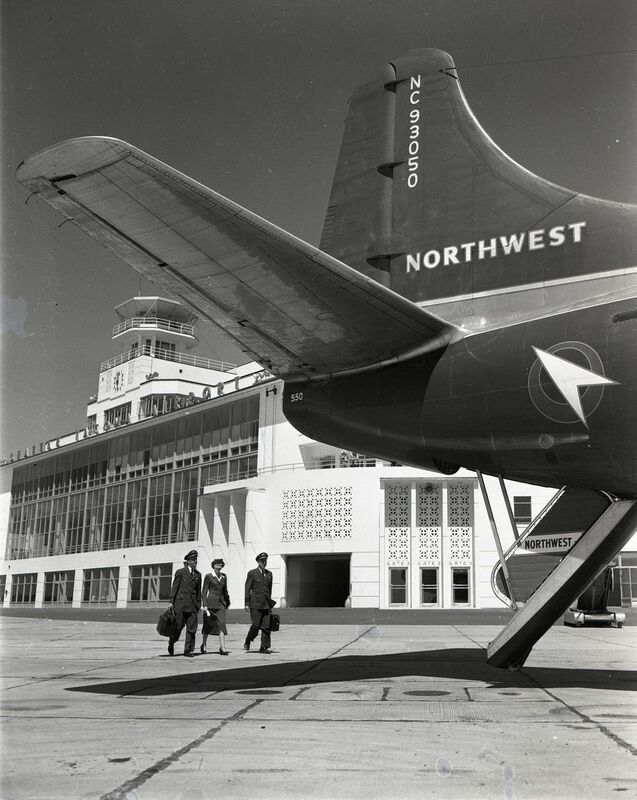 Northwest Airlines and Western Airlines shared a hanger and offices there, and Northwest would be the first to fly Boeing Stratocruisers from the new airport. 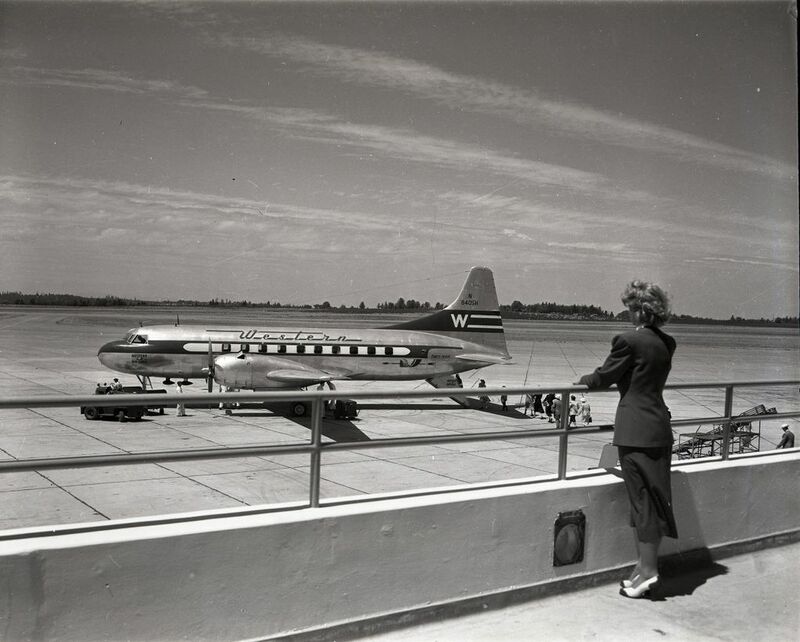 The first of the new planes was unveiled by Boeing president William Allen at the dedication of the airport. 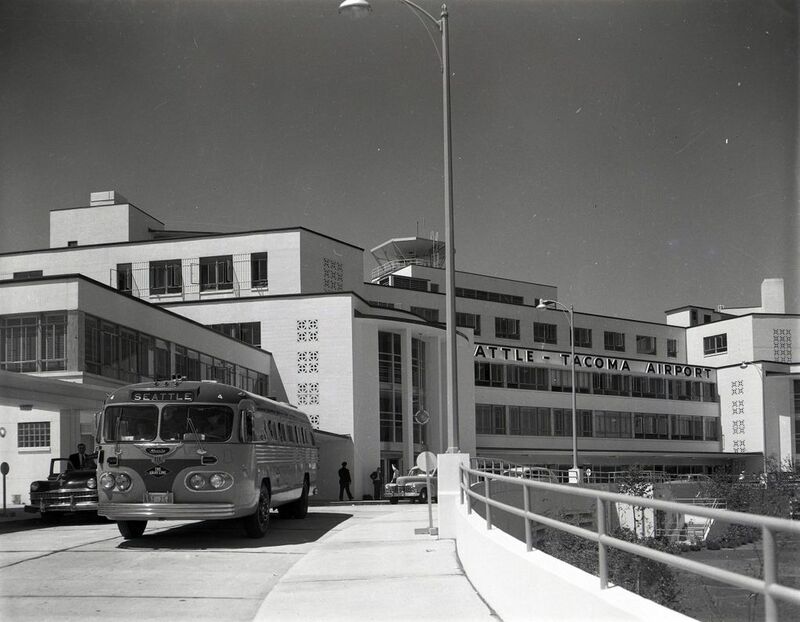 An estimated 30,000 people attended the dedication of Seattle-Tacoma International Airport and its new terminal building July 9, 1949 — so many that cars were parked all the way to the Seattle-Tacoma Highway (now Highway 99/International Boulevard). 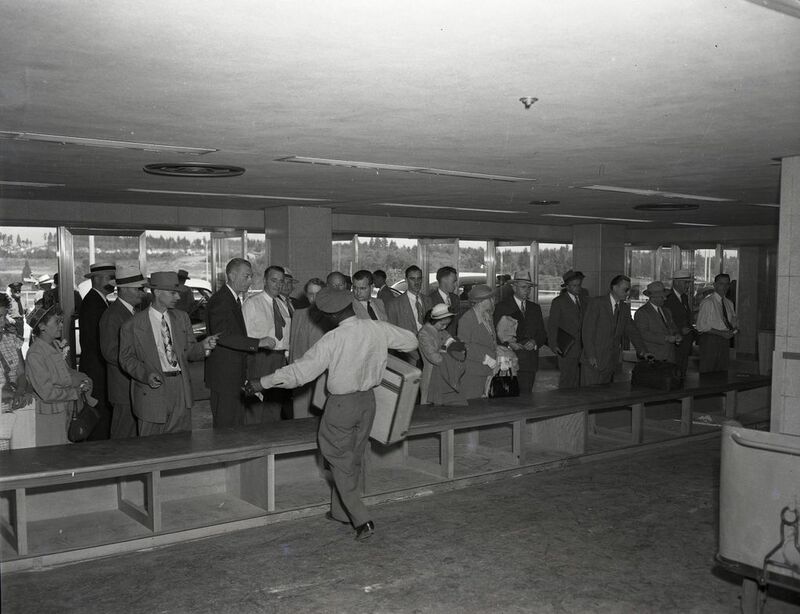 Many of the visitors stood in long lines to walk through planes and listen to speakers. The north and south wing walls were capped with removable concrete slabs for future expansion. 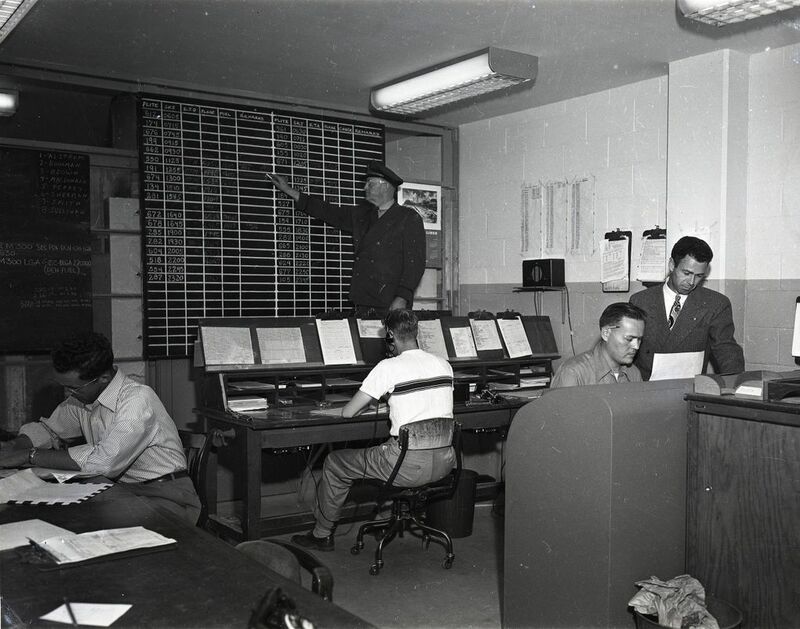 Days after the dedication, a Times story mentioned 10 veteran air traffic controllers were assigned to guide flights at the airport. Airlines reported transcontinental routes out of the airport were experiencing a busy summer, with most of the flights near capacity. 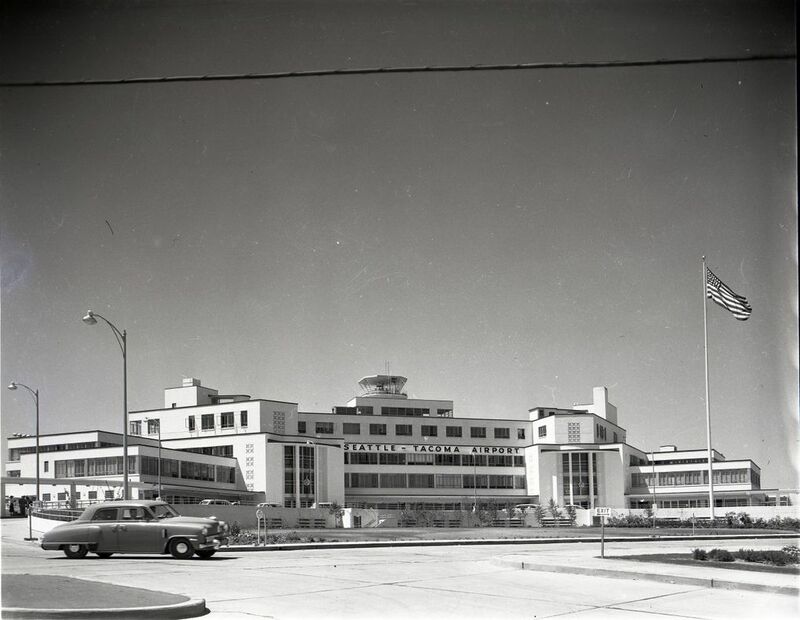 The airport certainly has changed since 1949 and the newest addition; a new International Arrivals Facility is expected to be completed in 2020. 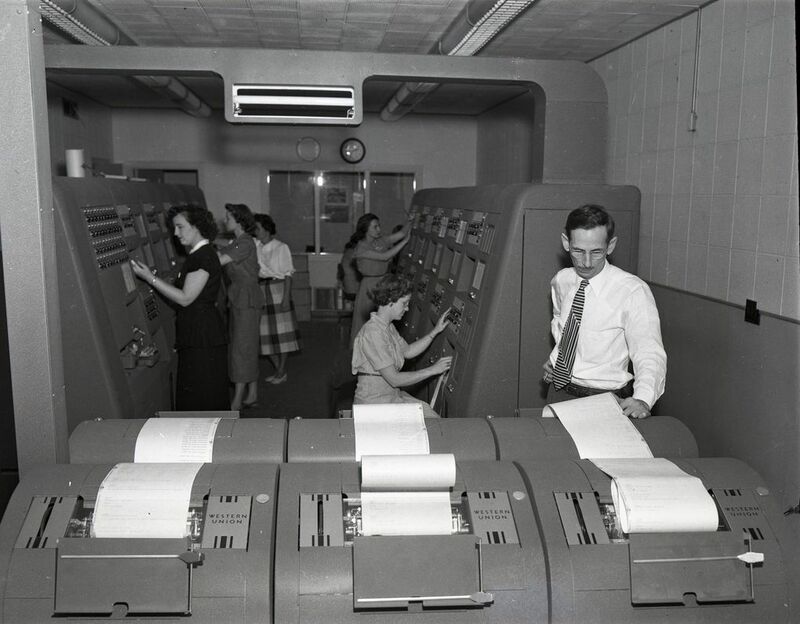 But hints of the original terminal can still be found if you look closely.